After Nipah, a new virus scare has gripped Kerala. A 24-year-old woman suspected to be carrying West Nile viral infection and has been admitted to a hospital in Kozhikode. Her initial body fluid sample was sent to the National Institute of Virology (NIV) in Pune, which has confirmed it to be West Nile virus (WNV). Health officials in Kerala are, however, saying false positives are common among such infections, and they will send a second sample to NIV shortly for a reconfirmation. According to World Health Organisation, West Nile virus can cause a fatal neurological disease in humans, though approximately 80 per cent of the infected people won’t show any symptom. West Nile Virus (WNV) can cause death. It’s a member of the flavivirus genus and belongs to the Japanese encephalitis antigenic complex of the Flaviviridae family. While birds are the natural hosts of West Nile virus, it is mainly transmitted to people through mosquitoes. There are no vaccines available for humans infected by the virus. The West Nile virus is known to cause severe disease and death in horses too, but vaccines are available for use in horses. WNV is commonly found in Africa, Europe, the Middle East, North America and West Asia. WNV is maintained in nature in a cycle involving transmission between birds and mosquitoes. Humans, horses and other mammals can be infected. According to WHO, the first case was recorded in 1937 when West Nile virus (WNV) was isolated in a woman in the West Nile district of Uganda. In 1953, the virus was identified in birds (crows and columbiformes) in Nile delta region. Human infections have been reported in many countries for over 50 years. In 1999, New York imported a WNV circulating in Israel and Tunisia, which led to an outbreak throughout the United States of America until 2010. Greece, Israel, Romania, Russia and USA have reported the largest outbreaks of WNV. Initially, it was prevalent throughout Africa, parts of Europe, Middle East, West Asia, and Australia. Since 1999, the virus has spread from the USA and is now widely prevalent from Canada to Venezuela. 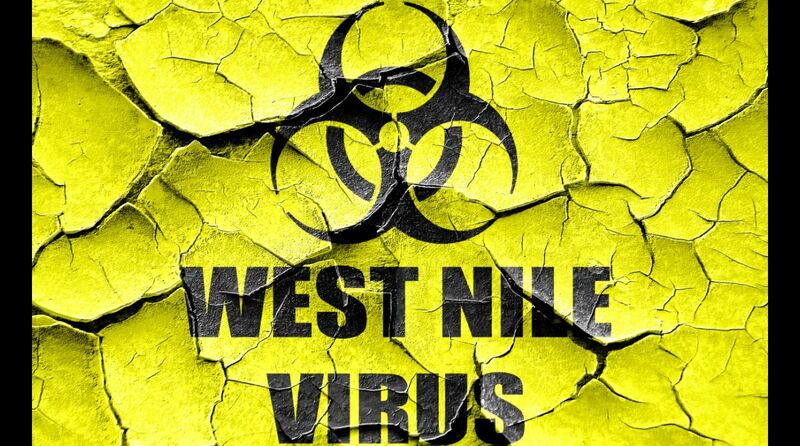 Last year, the West Nile infection was reported in over 2000 patients in the United States, causing 121 deaths. Human infection mostly occurs through bites from infected mosquitoes, which acquire the virus by feeding on infected birds. Circulating in the mosquitoes’ blood for a few days, the virus eventually gets into their salivary glands. When these mosquitoes bite humans or animals, the virus gets injected into them. It can then multiply and cause illnesses. WHO says the virus may also be transmitted through contact with other infected animals, their blood, or other tissues. WHO has recorded some infections through organ transplant, blood transfusions and breast milk too, while there is at least one reported case of WNV transmission from mother to child (transplacental). No human-to-human transmission of WNV through casual contact has been documented till now. While there has also been no reported case of transmission to health workers, that to laboratory workers has been reported. The infection is usually asymptomatic. Around 20% of the people infected with WNV may develop West Nile fever, symptoms of which include fever, headache, tiredness, body aches, nausea, vomiting, occasionally with a skin rash and swollen lymph glands, according to WHO. The symptoms of severe West Nile Virus disease (also called neuroinvasive disease, such as West Nile encephalitis or meningitis or West Nile poliomyelitis) include headache, high fever, neck stiffness, stupor, disorientation, coma, tremors, convulsions, muscle weakness, and paralysis. Approximately 1 in 150 persons is likely to develop a more severe form of the disease. People over the age of 50 and some immunocompromised persons (for example, transplant patients) are at the highest risk. The incubation period is usually three to 14 days. No vaccine is available for humans. Patients get supportive treatment, often requiring hospitalisation, intravenous fluids, respiratory support, and prevention of secondary infections. Vaccines have been developed for horses. Since there is no vaccine, awareness of the risk factors is required. There should be public health educational messages about reducing the risk of transmission through mosquitoes, from animals to humans and through blood transfusion and organ transplant. The Kerala woman suspected to be carrying WNV is from Pavangad in Kozhikode district and is being treated at the Kozhikode Medical College. The authorities have decided not to declare it a confirmed case of WNV until they get the NIV report on second sample. “If there is a four-fold increase in the antibody count in the second sample, only then can we say it is a West Nile infection. Right now, we are not 100% sure. But it is a suspected case,” Dr Jayasree V, District Medical Officer, Kozhikode, was quoted as saying in a report in The Indian Express. “The symptoms are the same as that of Japanese encephalitis or meningitis,” she added.